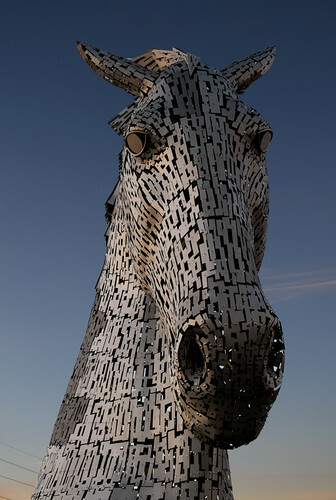 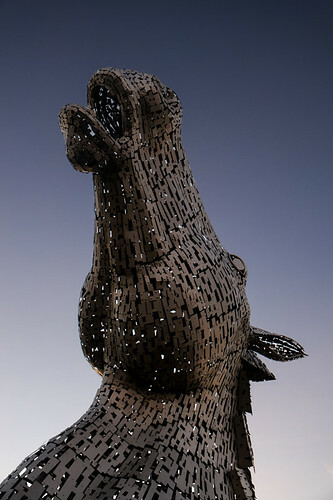 “The Kelpies”. 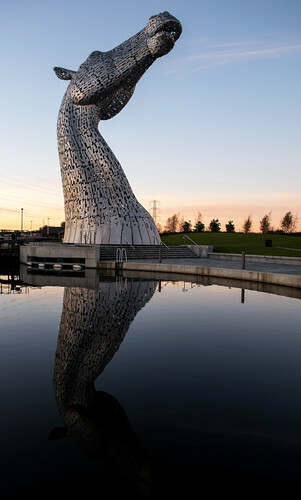 Falkirk, November 2016. 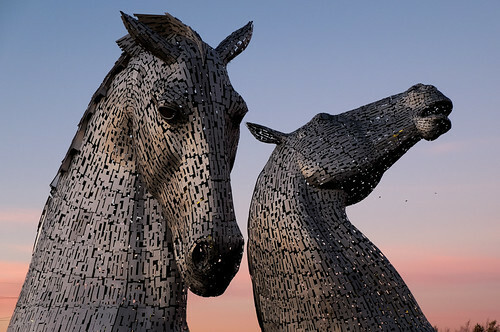 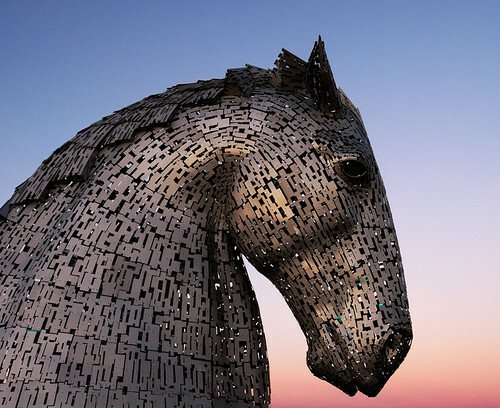 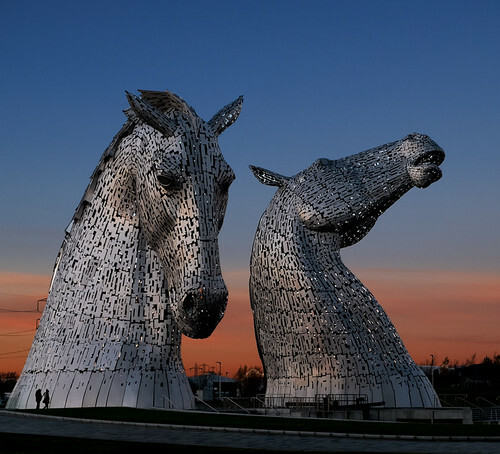 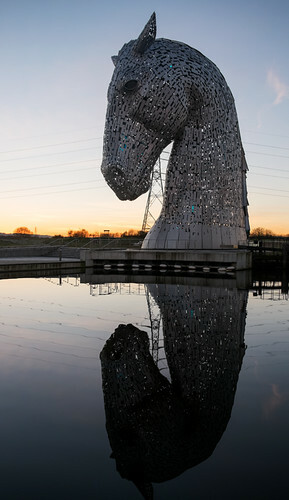 This entry was posted in Art, Land & Sky, Scotland and tagged art, canal, horses, reflections, sculpture, sunset, water on January 11, 2017 by patrickhadfield.